Limoni created its own line of low-cost products called Basic Beauty. Before I give my honest review about Basic Beauty products I would like to mention that sometimes the price does not determine the quality of an item. So, let's start, 2 shampoos and a hair mask. 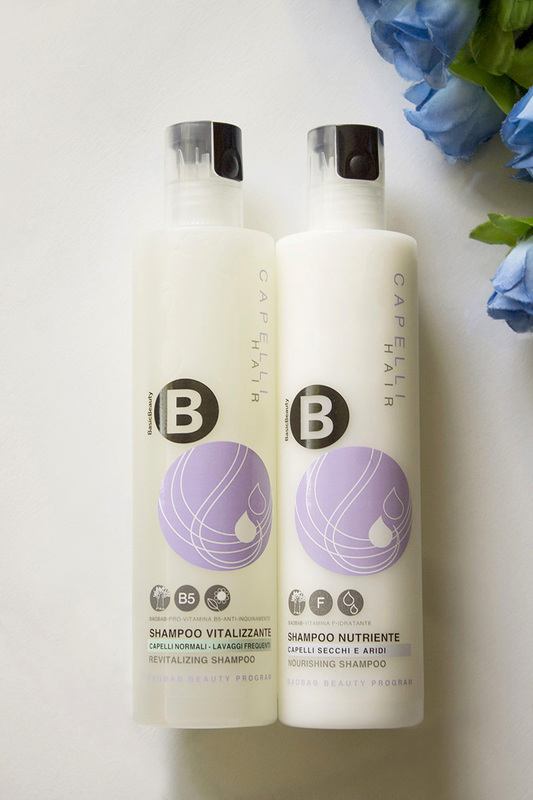 Vitalizzante shampoo for frequent washing has some excellent ingredients like baobab leaves, pro vitamin B5 and soy, but I prefer the nutriente shampoo for dry hair, it has a pleasant odor and the main ingredients like pulp of baobab, Vitamin F and glycerin will restore your healthy hair. 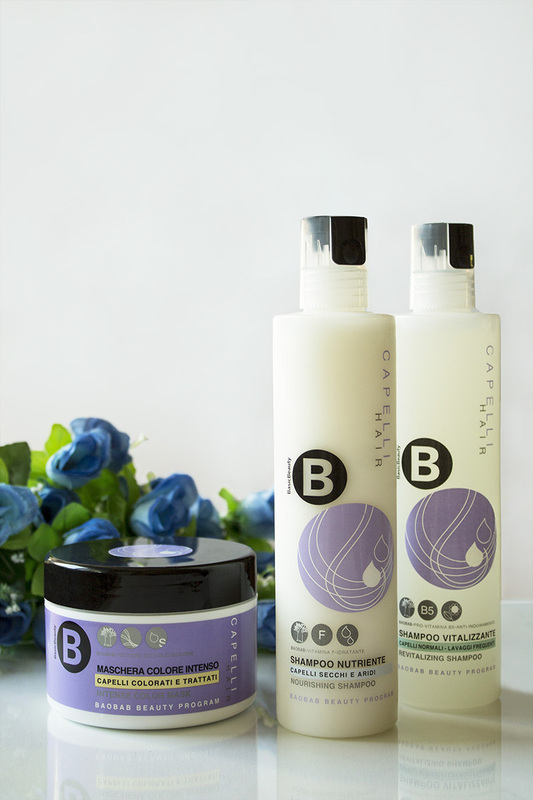 A hair mask for colored hair with baobab oil, silk proteins and silicone oil needs to be applied to your clean but still wet hair, after shampooing. Leave it for a few minutes and rinse hair with cold water. All three products have delighted me. My hair is noticeably softer and shiny, and that is what we are all seeking. Leave my your comments. A me non sono piaciuti questi due prodotti e la maschera capelli mi ha anche appesantito molto i capelli. Ovviamente i miei capelli grassi sono un caso disperato! Ciao cara, mi dispiace che ti sei trovata male con questi prodotti. I miei capelli sono secchi e un po' stanchi dalla colorazione. Gli ingredienti sono molto buoni e dopo 2/3 usi ho già notato la differenza. Grazie per essere passata, buon weekend! That sounds like a great system. 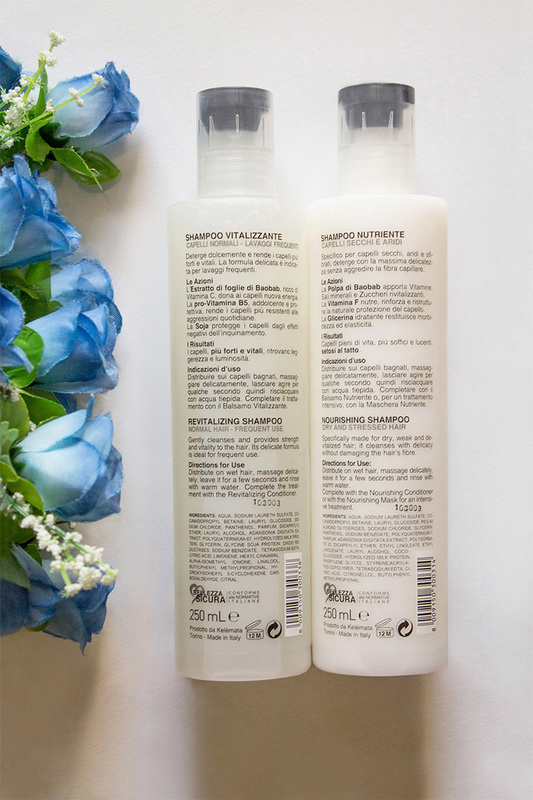 I can no longer purchase my favourite shampoo so I'm definitely in the market for a new one!